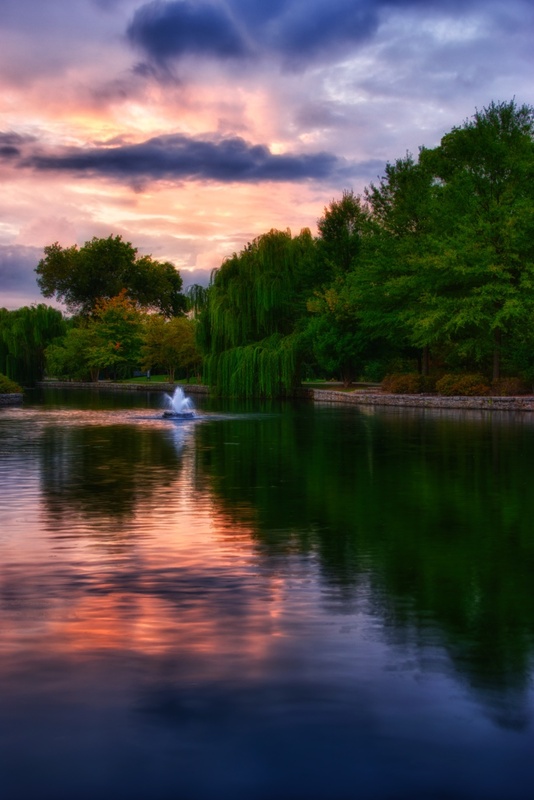 Are you looking for the best places to take photos in Nashville? 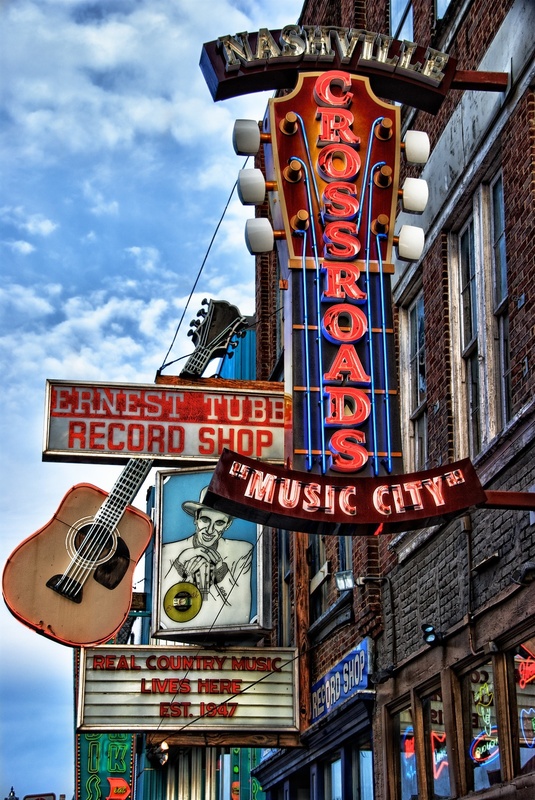 Are you heading to Nashville soon? Are you bringing the camera? You better! This town has it all - an incredible and lively entertainment district that sits right on the river, a beautiful bridge with a commanding view, amazing architecture, a leading University, and more! Oh yeah - do you like BBQ? Then come hungry! I don’t claim to be an expert on Nashville, though I have been there at least a dozen times over the last few years. Each time, I bring along my gear and do my best to get out and enjoy all this town has to offer...which is a LOT! I would be remiss if I left out one of my friends, who happens to be a local to Nashville and an incredible photographer. I have shot with him there as well and he’s a dang nice guy! His name is Malcolm McGregor so click through and enjoy his work too! He showed me a couple of these spots! The skyline of Nashville is a beautiful one, and it’s made better by the fact that it juts up against the Cumberland River. This gives you a great photo opp if you take the short walk up onto the Shelby Street Pedestrian Bridge. From up above, you get a commanding view of the town and of course, when the light is right, you get to fire away and get shots like this one. Ok, I understand that technically, this is sorta the same thing as #1 but when you look at the shots, I think you will understand why I consider them two different ones. They actually are very different. While the first photo is a top-down view with the whole river in it, this angle is more of a looking-up and it’s head-on as well. Either way, get out there and shoot both of them when you are there! This park is really not large, but it packs in a lot of beauty in my opinion. Of course I love the Parthenon, but with the pond there and the gardens, you really have quite a few options in terms of what to aim your camera at. Broadway is the main drag through downtown, and it’s the home of countless country bars, restaurants, and stores of different sorts. You will definitely end up here on your visit, it’s a must see. But be sure and pack the camera because if you enjoy signs and interesting storefronts, you have an endless array of cool things to shoot here. I am a big fan of architecture and entrances, and this entryway is just fabulous. I love it. So much detail and interest here, and it’s right on Broadway, just a short walk up from the bars and restaurants in #5. You can grab this one easy! I alway seek out a University as a photo-destination in a town, because I find they are rich with architecture, which I love to shoot. 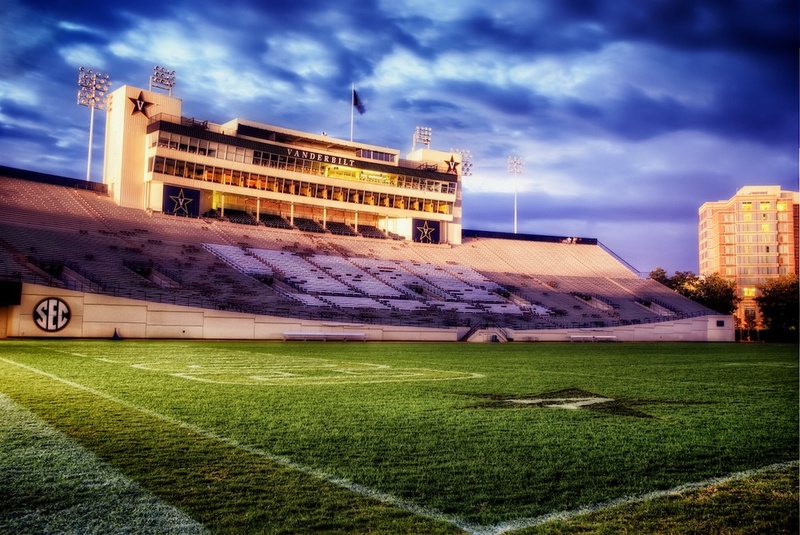 Sometimes though, I find my way into a football stadium as well, such as I did during sunset one evening in Nashville. There were no locks, so that means “come on in” to me...and I did! This place is beautiful, and as you can plainly see the sunrise on the morning I shot here was beyond incredible. I met Malcolm here at oh-dark-thirty, and we walked a path through the woods to get to this spot. Then, we waited for the light...and fired like crazy. This show lasted a little while, and let me tell you it was well worth the early rising and the short 20 minute drive from downtown! 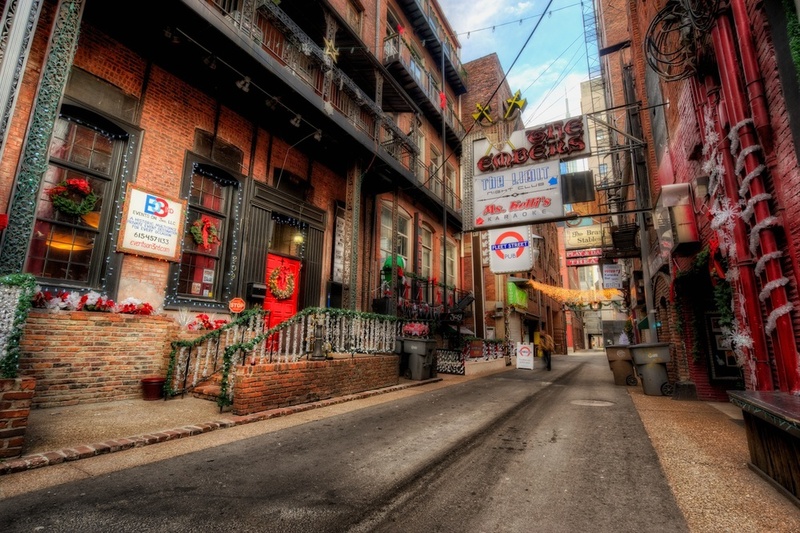 This tiny little alley downtown used to be home to the local publishing industry (hence the name) but is now a thriving entertainment district, housing bars, restaurants and nightclubs. It’s pretty small, and reasonably well hidden, but be sure and hunt it down because it has lots of character! 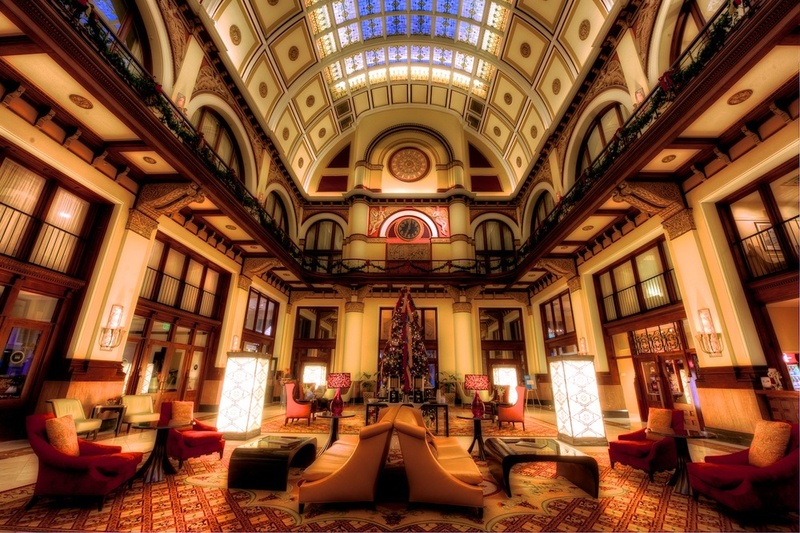 If you love old, historic places then this hotel is right up your alley. It’s converted from a train station and sits just a short walk up Broadway from all the lights and neon signs I mentioned earlier. The lobby is phenomenal, as you can see, and well worth a stop. The folks at the front desk ask if this is for personal or business use, and I just told them I was shooting for myself and they let me shoot all around..yay!! Well, that title is a mouthful, but this place is awesome and has a fabulous view of the State Capitol Building. I happened to be there on a cloudy Fall afternoon, which was great, but I will try in the future to get this one at blue hour, because I bet some lights come up and it looks awesome. 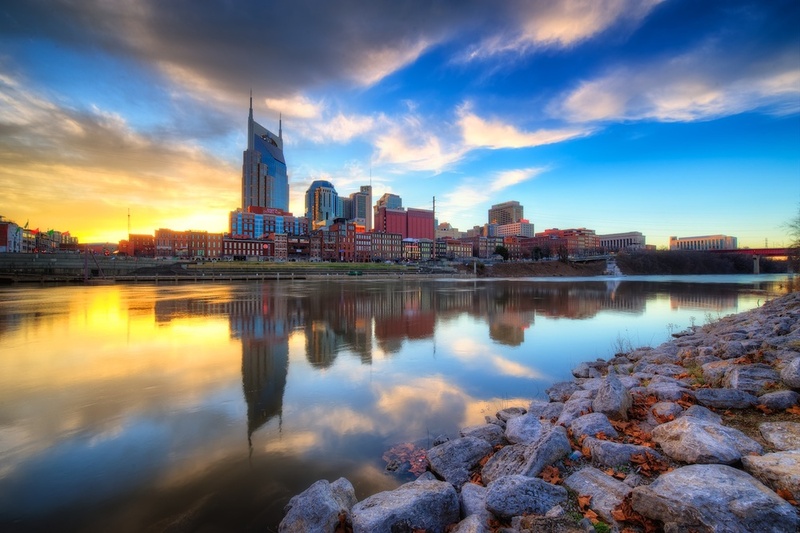 I am not a big country music fan but I do love Nashville and all the great things it has to offer, and yes that includes the country bars and the wonderful architecture of the Country Music Hall of Fame and Music City Center (the next item on this list). It's great just wandering downtown there! This place is enormous! Also, it's sort of shaped like a guitar, but that's hard to tell from this angle. That view is best achieved from standing at the bottom of the street at the end of this picture...way down there. Then you can see the curves and the semi-guitar shape. Anyways, it's a great place to get some cool architectural shots! 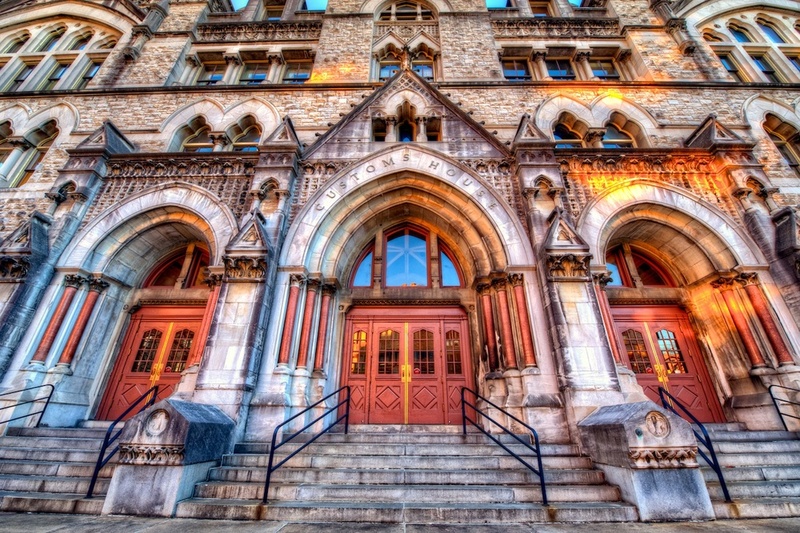 Another beautiful architectural gem right downtown and easy to get to! In fact, when you are walking to the bridge to shoot the skyline (#1 above) you will likely walk right past this place. Stop and take a shot or two! Well that’s it for now folks - thanks for having a look. This list is not even close to being comprehensive. I am sure there are many more spots to explore in this lovely town, and I look forward to doing just that on future visits. Thanks!